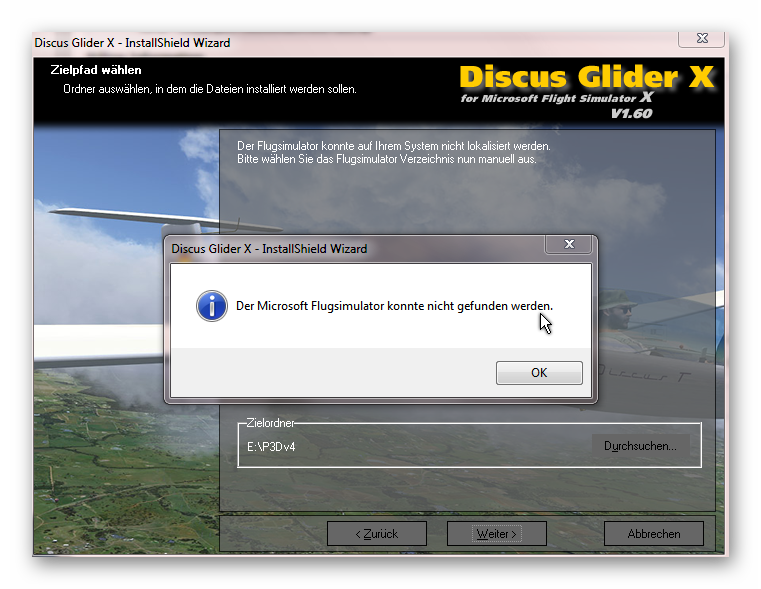 I've tried to install it in P3DV4 but the installer refuses all the paths I've tried. Could you be so kind to explain even in a few words and at least for your products the correct how to ? other plane? the Beaver e.g., see list. I have the same problem with e.g. Polnish Airports . About my local setup: I think it's very classic and has been made in a very straightforward and conventional way. I have the usual files in "Documents". Aerosoft has installed files in P3DV4/ Aerosoft, in Ecosystem,in Program Files (X86) ,Helgoland and Anchorage, in Documents ( Parts of CRJ) .and Finkenwerder needs manual interventions. 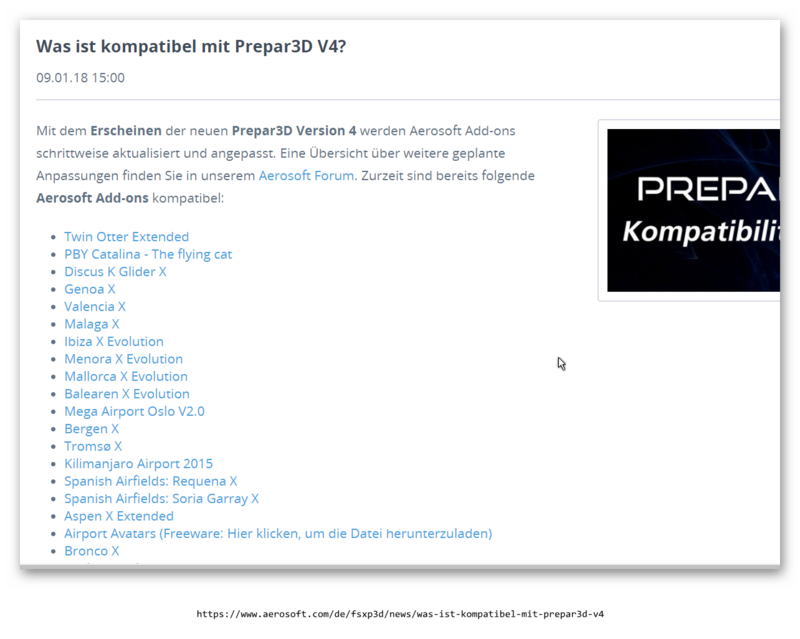 "Before" it's was at least clear: Aerosoft was installing in FsX> Aerosoft. For the Discus: I had not seen the "K". My mistake, sorry; Now I have installed this version. It works as announced.